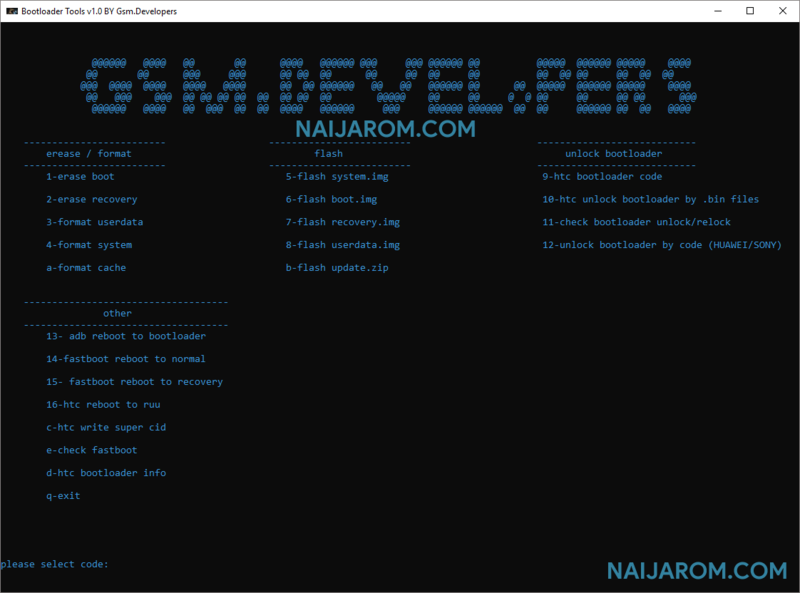 Bootloader Tool v1.0 is a small application for windows computer which allows you to perform multiple tasks on your Android device including Erasing or formatting the Android Device, Flash the firmware on the device, unlocking the Bootloader, and Others. It allows you to erase the boot, erase recovery, format userdata, format system, format cache, flashing system.img, flashing boot.img, flashing recovery.img, flashing userdata.img, flashing update.zip. It also allows you to unlock the bootloader of HTC device using the code, unlocking the HTC bootloader using the .bin file, checking bootloader is unlocked or locked, unlocking the bootloader of Sony Xperia and huawei devices. It also allows you to quickly adb reboot to bootloader, fastboot reboot to the recovery, HTc reboot to the RUU, HTC Write super CID, Check Fastboot, HTC Booloader Info. In order to use the Bootloader Tool properly, you need to install the Universal ADB Driver on your Computer. Once Driver is installed you can successfully connect your Android Device to the computer, and launch the Bootloader Tool on the computer. [*] Credits: Bootloader Tool v1.0 is created and distributed by Tech Anil (developer). So, full credits goes to Tech Anil (developer) for sharing the tool for free.